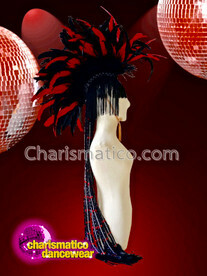 It is known that black and red can be one of the most gorgeous colors. 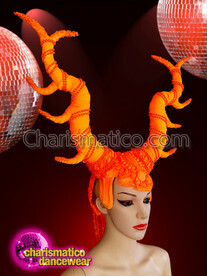 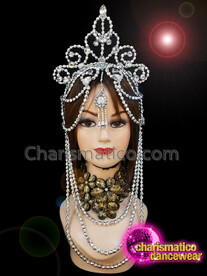 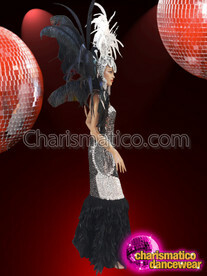 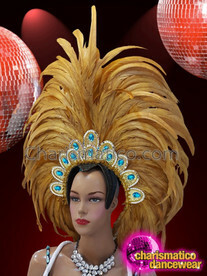 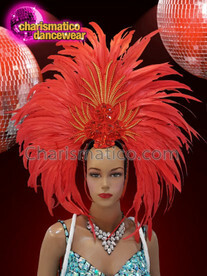 When performing on stage the drag queen or show girl needs to wear stunning clothes that would steal the show. 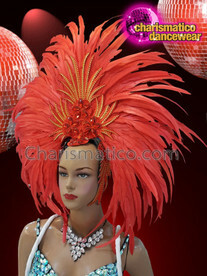 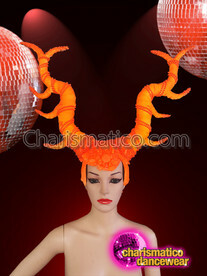 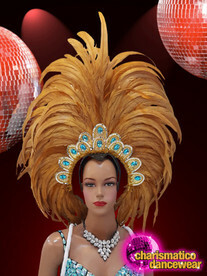 The red head dress is huge and is covered with sequins and diamonds. 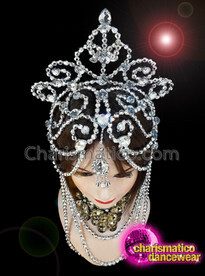 It looks like a crown.